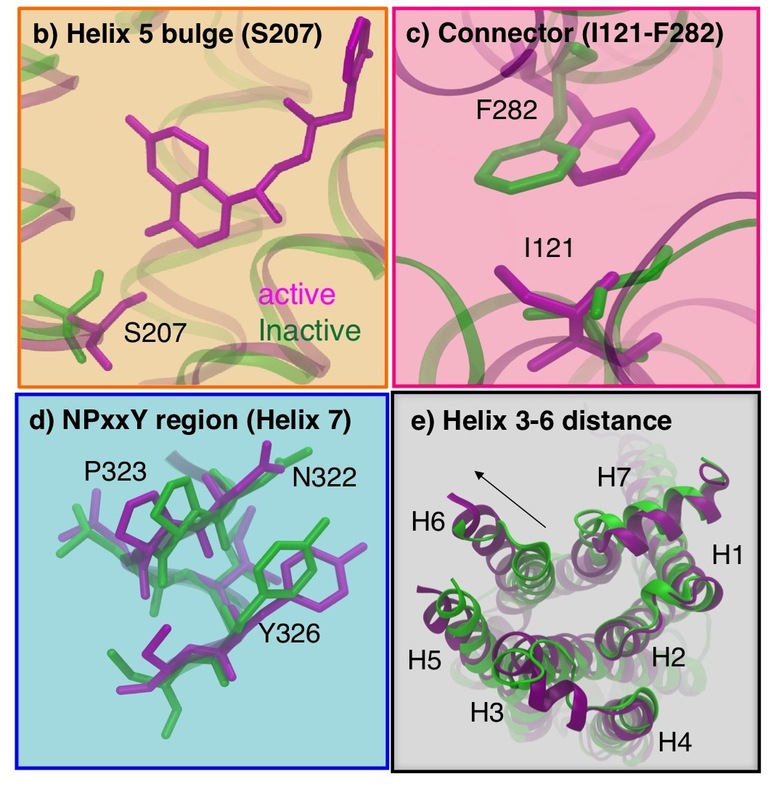 G-protein coupled receptors are a versatile family of membrane-bound signaling proteins. 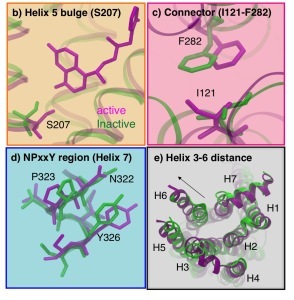 Despite the recent successes in obtaining crystal structures of GPCRs, much needs to be learned about the conformational changes associated with their activation. Furthermore, the mechanism by which ligands modulate the activation of GPCRs has remained elusive. Molecular simulations provide a way of obtaining detailed an atomistic description of GPCR activation dynamics. However, simulating GPCR activation is challenging due to the long timescales involved and the associated challenge of gaining insights from the “Big” simulation datasets. Here, we demonstrate how cloud-computing approaches have been used to tackle these challenges and obtain insights into the activation mechanism of GPCRs. In particular, we review the use of Markov state model based sampling algorithms for sampling milliseconds of dynamics of a major drug target, the G-protein-coupled receptor β2-AR. Markov state models of agonist and inverse agonist bound β2-AR reveal multiple activation pathways and how ligands function via modulation of the ensemble of activation pathways. We target this ensemble of conformations with computer-aided drug design approaches, with the goal of designing drugs that interact more closely with diverse receptor states, for overall increased efficacy and specificity. We conclude by discussing how cloud-based approaches present a powerful and broadly available tool for studying the complex biological systems routinely.